Every Thursday night in October, we’re partnering with PICNIC Durham’s BBQ man, Wyatt Dickson and Ponysaurus to offer late night BBQ sandwiches and beers on the roof in celebration of the first annual NC BBQ Revival Oct 29-30 at Green Button Farm. Don’t miss this rare appearance of PICNIC BBQ sandwiches outside of their natural Cole Mill Rd. habitat or the opportunity to wash one down with a beer from Ponysaurus on the roof. A limited number of sandwiches will be available. 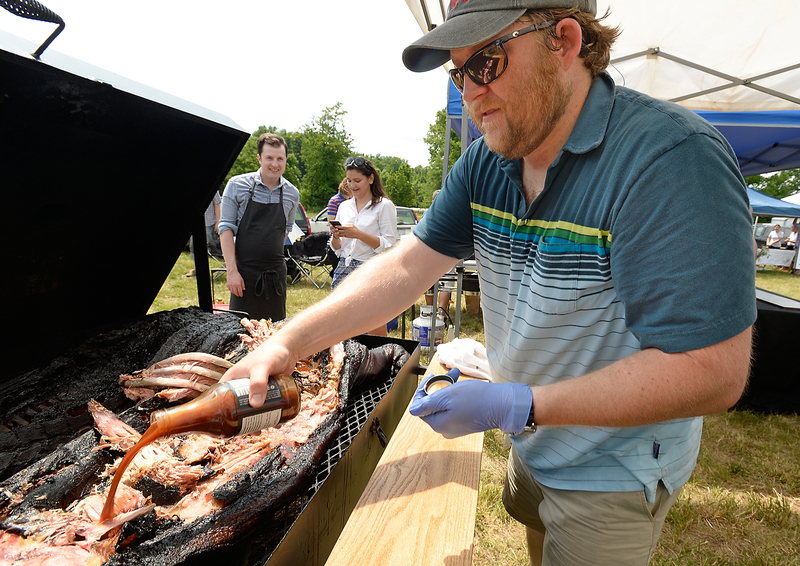 Wyatt Dickson, the barbecue man of PICNIC Durham will host pitmasters from across the country who value the sustainable, whole-hog NC barbecue tradition, including Elliott Moss of Buxton Hallin Asheville, Sam Jones of Skylight Inn and Sam Jones BBQ in Ayden and Winterville, Bryan Furman of B’s Cracklin in Savannah, Tyson Ho of Arrogant Swine in Brooklyn, and his brisket-loving friend from Texas, John Lewis of Lewis Barbecue in Charleston – to name a few, will come together to discuss, smoke and pick pig together at Green Button Farm October 29-30, 2016. Tickets are available at ncbbqrevival.com/reservation.